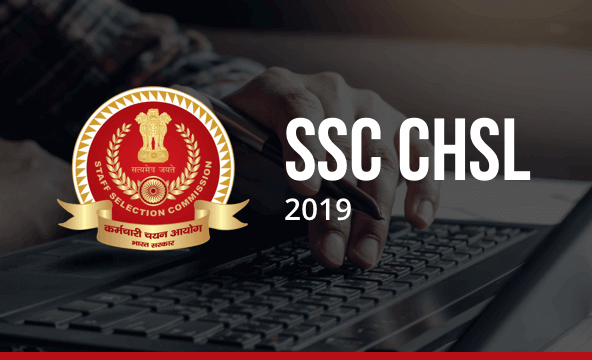 Staff Selection Commission (SSC) has released SSC CHSL 2019 official notification for the post of Lower Divisional Clerk (LDC)/ Junior Secretariat Assistant (JSA), Postal Assistant/ Sorting Assistant (PA/SA) and Data Entry Operator(DEO) on 5th March, 2019. The tentative schedule for the SSC CHSL 2019 exam is as follows. Please note down the important dates related to SSC CHSL Exam 2019 and make sure to complete the process in time. The Vacancy for SSC CHSL 2019 will be released soon by Staff Selection Commission of India. As per last years' notification released by SSC, a total of 5134 vacancies were to be filled by SSC CHSL 2017-18 exam. Candidates can get a clue about the upcoming SSC CHSL 2019 Vacancy by looking into the vacancy details of SSC CHSL 2017-18. • SSC CHSL 2019 Tier 1 exam will be conducted in online mode. Every candidate who registers for SSC CHSL Exam 2019 within stipulated time will be assigned an e-admit card/hall ticket/call letter that can be downloaded from the official website of SSC. The admit card for the CHSL Tier-1 exam will be released first followed by the admit card of CHSL Tier-2 exam (administered to only those candidates who qualify for Tier 1 exam). More information and the download link for the admit card will be displayed post the release of the official notification for SSC CHSL 2019. Candidates are advised to keep checking this page for updates.